This is for my IB Math students who get tired of dealing with “three sig figs” all the time. 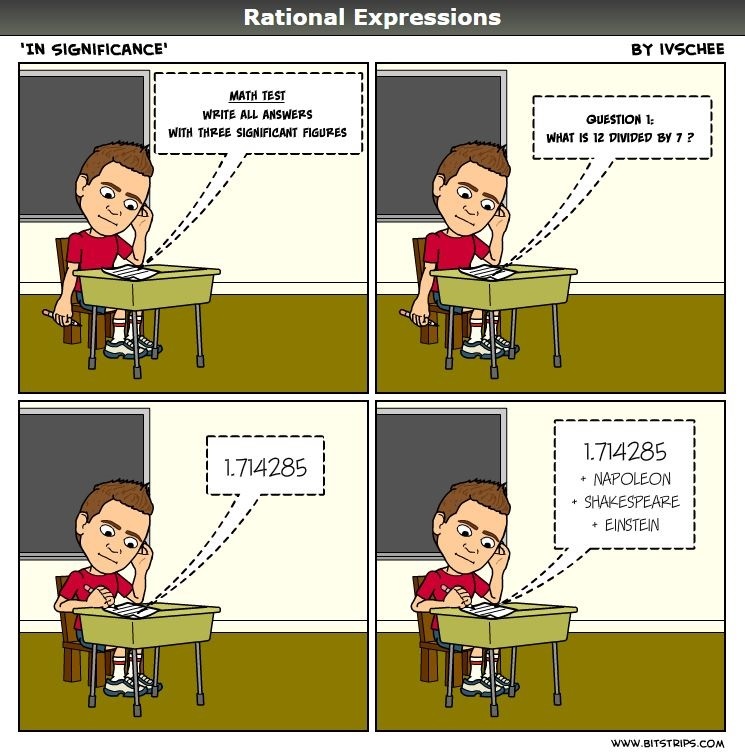 Posted on March 23, 2015, in Rational Expressions - A Comic Strip. Bookmark the permalink. Leave a comment.